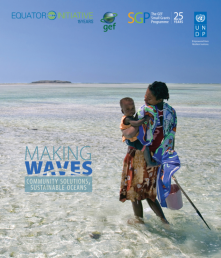 EI/SGP Publication - Making Waves:Together with the Equator Initiative, SGP will launch the joint publication "Making Waves" that features powerful stories about community innovations in the management of marine and coastal areas including fisheries, MPAs, etc. The publication includes 15 stories of Equator Winners, eight of which are SGP grantees. UNDP Exhibition: SGP is part of the UNDP Exhibition- Waves of Action in the lobby of the UN Secretariat with two pictures from Belize and Turkey. For those not in NY, BERA please visit the online version of the exhibition. In addition, the stories behind the pictures will appear in postcards. SGP Side Event: SGP is leading a side event on “Polycentric Ocean And Coastal Governance to Accelerate the Implementation of SDGs” on 9 June 2017; 3:00 - 4:30 PM along with UNEP and the GEF Secretariat. At this event SGP will launch Making Waves, and distribute its publication Scaling up Community Actions for International Waters Management. 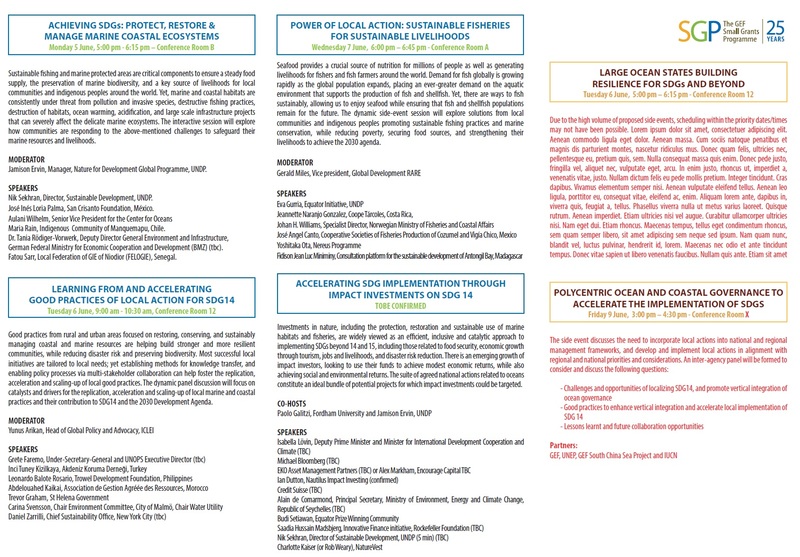 SGP partnership events with GLISPA: SGP is partnering with GLISPA in the side event “Large ocean states building resilience for SDGs and beyond” on June 6, from 17:00-1815 where our Global Manager, Yoko Watanabe, will speak on SGP’s work on Community-based Adaptation. SGP will also participate in the HL Reception on Our Oceans, Our Islands, Our Future organized by GLISPA. SGP Grantees at the High Level Event on World Ocean's Day and other side events: Two SGP grantees, the Mediterranean Conservation Society from Turkey and Try Oysters from Gambia will be speakers at the High level event organized by the UN Division for Ocean Affairs and the Law of the Sea. Eight SGP grantee, who are Equator Winners, will attend the conference and participate as speakers in side events throughout the week. See below. Photo essays and social media campaign: Along with the publication, to highlight the work of communities in support of healthy ocean ecosystems, the Equator Initiative has developed photo-essays about Equator Winners that are also SGP grantees, along with a social media campaign shared with BERA. 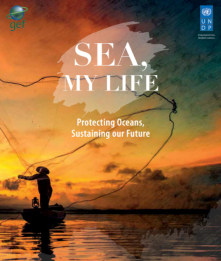 Sea, my life publication: SGP contributed two stories (Belize and Turkey) to the publication Sea, my life: A voyage to UNDP-supported marine protected areas around the world produced by UNDP-GEF. Many thanks to Leonel and Gokmen for their contribution. Written in the style of an oceanic travel magazine, a diverse set of case studies presents the work of a wide range of GEF-financed and UNDP-supported projects that make a clear case for further investment in marine protected areas to restore the health of oceanic and coastal ecosystems, strengthen resilience in the face of climate change, sustain fisheries and other economic activities, and improve the lives of the world’s poorest communities.